Get ready for the most exciting and the best weekend at the ever popular Kirra Kite Festival from Thursday 14 November to Sunday 17 November 2013. Prepare yourself for some exciting kite action, indulge your taste buds with nationally acclaimed eateries, witness gifted musicians and feel the excitement live music brings, see fabulous street performers showing off their talents and feast your senses on some of the most innovative films featuring point of view storytelling. Since its first event in 2010, this inaugural event attracts thousands each year with 2013 promising to be even bigger and better. Here is a run-down of what's happening on each day. For more information and updates on these unbelievable festivities, make sure you see their website. 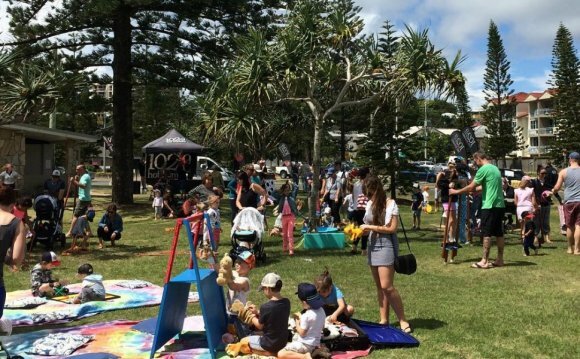 Kirra Kite Festival kicks off on Thursday 14 November with Charity Night at Bread n' Butter, a trendy Spanish local restaurant from 6.30pm to 10pm. This is the perfect opportunity for that long overdue catch up with old friends so start gathering the troops. If you've got kids, take them to Kirra Beach Hotel for the most insanely awesome kids magic show. They will be amazed, their minds will be totally blown away and their jaws will have dropped so many times throughout the evening. From 5pm, families will be treated to a fun-filled show with the Magic Castle Gold Coast's head magician Chadd who will fascinate and mesmerise you. This year, the Sunset Film Jam will make its debut at the Kirra Kite Festival featuring point of view camera work on Friday 15 November in Roughton Park. The evening begins at 6.30pm with a performance by Old Man Friday, a local instrumental surf band followed by various national and international family friendly films. With this year's theme Freedom, there will certainly lots of unique, interesting and captivating short films on show. So pack your picnic rug, pick up some delicious food, and enjoy the big screen under the stars. Totally free, totally fun, totally amazing. Transport your taste buds around Kirra on Saturday 16 November from 5pm. Celebrating the flavours of Kirra, there will be lots of mouthwatering food and delicious wine specials offered by local restaurants. So get ready to fill your glasses and plates ladies and gents. Of course, there will be heaps of entertainment to keep everyone busy and don't forget to pop by Roughton Park for some outstanding night kite flying and incredible fire shows. If date night with your loved one is overdue, then why not book a table at one of the local restaurants. Not only will you be spoiled with delectable food and drinks, but also front row seats to glow-in-the-dark kites and fire twirling displays. Sunday 17 November is Family Fun day at Roughton Park. From 10am, festivities kick off with exciting happenings perfect for all families, foodies and arts lovers. Celebrate kite culture and check out the extraordinary collection of character kites; watch live entertainment and enjoy the atmosphere it brings; take your kids to activities and workshops and let them have a ball; fill your tummy with tasty multicultural cuisine till you're fat and happy; browse the market stalls for some goodies to take home and let the exciting rides on offer thrill you. With kites, music, arts, food, and entertainment by the stunning Southern Gold Coast, you definitely don't want to be anywhere else. Why? Because you'll regret it if you miss out!